Anti Fraud News Presents it’s Top 10 Internet Scams list. You may use this information to warn your family and friends. a. On the way to the airport, the Scammer (and sometimes, his/her child) has a road accident or is violently robbed at gunpoint and hospital fees are urgently requested. b. Visa fees are required. This Scam is so successful because dumpy, middle-aged Westerners are flattered and delighted that a gorgeous, svelte young thing finds them totally irresistible! 2. Lottery Scam. You receive an e.mail advising that you have won a lottery that you cannot recall ever entering. It is often allegedly sponsored by Coca-Cola or a major car manufacturer. Of course, to claim your millions there are fees to be paid. 3. Loan Scam. In this, the worst economic recession for many decades, the Loan Scam is one of the few areas of business that is booming! You receive an e.mail almost invariably from a free e.mail address (eg, gmail) offering you an unlimited loan at a very low interest rate. All you have to do is provide a few scant details about yourself, fill out an application, pay a fee, and the cash is yours. Yeah…..right! 4. Money Laundering. An e.mail arrives, ostensibly from a West African official (often the Chairman of the Central Bank of Nigeria, currently Sanusi Lamido Sanusi) advising that he has millions of dollars illicitly hidden away, just waiting for a helpful Westerner like you to help get it out of his country. Just provide your bank account details and the fortune will be transferred. He will arrange to obtain his share, leaving a big chunk for you. But wait!…..there’s a hiccup. A Barrister/Diplomat/Bank Manager (insert your own official here) has to be bribed before the funds may be transferred. 5. Dead Relative Scam. A relative you didn’t know you had has just died in West Africa. Behold! They died a millionaire and this kind Barrister wants to get your inheritance safely across the world to you. Of course, he has to be paid… (again, and again, and again…). 6. Dying Person Scam. A variant on the Dead Relative Scam. A wealthy philanthropist is lying on their death bed. Their Doctor/Carer/Relative, etc, has chosen you to carry on their good work and invest the fortune for them. The monies will soon be in your account, once you have paid a fee (insert reason here). 7. Property Rental Scam. An ad in Craigslist, Gumtree, etc, catches your eye. Wow! A beautiful flat or house is for rent and at a great price. You drool over the pics of your opulent new home. The owner just wants the rent sent upfront by MoneyGram or Western Union before you can meet him and view the property. Ah! 8. Trunk Box Scam. Soldier in Afghanistan (or etc) has a Trunk Box full of cash. Can you help him get it home and share the booty? 9. Puppy Scam. Awwww! Just LOOK at these gorgeous, big-eyed little pups! British Bulldogs (or insert your favourite breed here). There will be friction marks on your mouse as you get that money sent and wait impatiently for the air courier to deliver your little ball of furry mischief. Just don’t become too attached to that photo…..
10. Gold Scam. 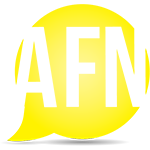 Got at least $30 000 USD to invest? Well, these Gold Sellers from Ghana/Guinea/Mali (etc) can offer you kilograms of gold (in coins, dust, or bars) at incredible prices. They will even agree to send you a small 5g sample for you to have assayed to confirm its quality and carat. Then, you just send the money and your gold will be sent by courier (but not in your lifetime). 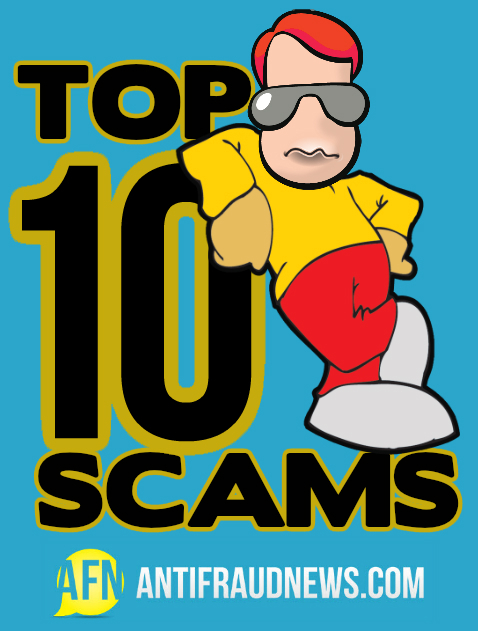 There are many other types of Scam, but the above Top Ten Internet Scams are some of the most common. Just remember to always be on your guard when you receive what seems to be a great offer over the internet!